The first of Ratepayers Victoria Inc [RVI] subcommittees has been formed to investigate the validity or invalidity of municipal councils as ‘local government’ in Australia, with a special focus in Victoria. The subcommittee is set up to enable information sharing and RVI will give project support to Peter Olney in developing the class action case. Execution of the class action will be a separate (non-RVI) activity – to be decided by individuals and/or other ratepayer groups with Peter. Disclaimer: Ratepayers Victoria Inc. advises readers that the association does not hold any legal or financial liability for the discretionary decisions a reader makes because of being informed by Peter Olney’s research findings, conclusions and recommendations. Our role is to facilitate project management support to enable knowledge acquisition and information sharing to the best of our understanding. The information provided is not meant to give legal advice, and readers should seek their own legal sources if they wish to pursue their interests into becoming class action plaintiffs in the future. Australia’s Constitution is based on the Westminster model of responsible government. The sovereign head of state is the Queen of the United Kingdom of Great Britain and Ireland. The Royal Style and Titles Act 1953 provides for the correct title for the constitutional Queen in the Commonwealth of Australia. However, federal Parliament gave the Queen the title “Queen of Australia.” in 1973. By doing so the Queen was displaced from being the constitutional Queen. To be effective it requires the referendum approval of the people, and that has not happened. Hence, open debate exists to this day about whether any laws passed through federal and/or States’ parliaments are legal or not. Chapter VIII, section 128 of the Australian Constitution requires that any constitutional amendment – including anything in out our constitutional setup – be approved by a referendum. 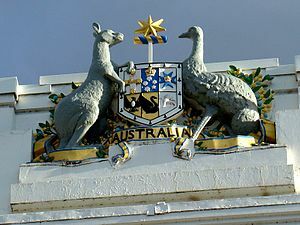 Therefore, since the State Governor is representing the Queen of Australia there is no possibility at law for an Act of the State Parliament to have validity unless referendum approval of the people is obtained to provide for the “Queen of Australia”, permitting approval of its Bills with appropriate Royal Assent. Such approval has not yet been obtained, therefore, it is argued that no law after 1973 has constitutional validity in this State and/or country. Further, at law State Parliaments have no power to alter British Imperial law with their own legislation frameworks – the Victorian State Constitution is an Imperial Act of 1855 of colonial origin. This implies that the Victorian Constitution Act 1975, which seeks to establish a new state constitution without referendum of the Victorian people, cannot be deemed as lawful. Further, the delegated power given to the Victorian Parliament in 1855 by the Imperial Parliament does not provide the right in law to re-delegate its power to a lower level of government. Constitutionally, there is no provision for a third tier of government for municipal councils without the referendum approval of the people. The setup and extent of council operations has been vexed since 1921, and before. Constitutionally, the Victorian Government cannot cause the Local Government Act 1989 (Vic) to be held as law since the people of the nation specifically refused the third tier of government in 1988. At law, what is specifically refused is with-held. Hence, there is no power under the overarching law of the land to establish or continue municipal councils as “government”, able to charge tax and not comply with other constitutional conditions of tax collection and use management. Municipal councils in Australia, acting as “local GOVERNMENT”, are constitutionally invalid. There is ground at law to understand these entities as bodies corporate. n 2009, the High Court of Australia (the Pape case) determined there was no basis in the constitution for the Commonwealth to supply direct grants to municipal councils. The High Court’s Pape case concluded the “government departments and agencies cannot assume section 81 (of the Commonwealth Constitution Act) will authorise the spending of money on whatever activities or objectives the government likes. Agencies should take prudent steps when formulating spending programs to ensure that Commonwealth spending does not exceed the limits set out in the decision.” (Clayton UTZ, 2009). What this means is “Pape is a reminder to government departments and agencies to think carefully about their spending programs. Programs cannot be formulated on the assumption that section 81 will authorise the spending of money on whatever activities or objectives the government likes. A valid appropriation will not authorise the spending of money – whether that spending involves activities on the part of Commonwealth officers or agencies or simply involves a payment to third parties. For many Commonwealth officers and agencies, Pape will not have much of an impact. For others, prudent steps should be taken when formulating spending programs to ensure that Commonwealth spending does not exceed the limits set out in the decision.” (Clayton UTZ, 2009). In 2010, the Australian Government’s Attorney General replied to a letter inquiring about the 1988 referendum and confirmed local municipal councils are not recognised in the Commonwealth constitution as ‘local government’. The media also disclosed that “Documents obtained by The Australian under Freedom of Information laws show the government reviewed its funding arrangements after the Pape decision in the High Court and Cabinet discussed the risk to regional development programs” (The Australian, 2011). 2.Support for a democratic basis of local government in Australia, hence requiring a future referendum on the matter. 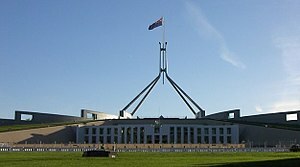 Presently (12 Aug 2012), the Australian Government has yet to decide if or when this matter is to be passed through legislation in Parliament. The anticipation is that the legislation referendum matter will be addressed in time for the next federal election. Other authority/evidence of the non-government status of Councils – see Strathfield Council’s website and the 2011 local government recognition expert panel’s fact-sheet. RVI respects the ideas offered by the panel and council, but does not agree with them. Those who supported the recognition of local government were citizens with an association with ‘local government’ at municipal council level. A council representative from South Australia stated that a major barrier to recognising local councils is educating the community on why the change is needed (the Sydney Morning Herald, 2011). On the contrary, a growing segment of the local community is becoming very aware of the matters. Several ratepayers challenge their councils in court, with the validity of their authority to impose decisions and actions on the local community – especially when they are perceived to be related to increasing matters of abuse of bureaucratic power that undermines the civil rights of ratepayers. 1.Western Australia: $27m in Council Rates “illegal” – The Western Australian Government ”has taken legal action against 22 councils after an audit found they had illegally levied more than $27 million in rates on 10,000 properties this year.” This legal case implies that Councils cannot simply raise differential rates in WA without formal ministerial approval. 3.Victoria: Touvanna vs Melton Shire Council case – a Rockbank ratepayer refused to pay Melton Shire Council after it rezoned a 12ha property and increased rates by 160% (The Herald Sun, 2012) – also see Touvanna Vs Melton Shire – Address to Magistrate Court. 4.Victoria: Pakvakis (State of Victoria & Banyule Council) V Gerrit Schorel Hlavka. Gerrit is challenging the unconstitutional status of the Local Government Act in Victoria. (If readers know of new case developments, please provide information for public sharing on this website). The impacts of this Local Government unconstitutional issue is summarized in this document – the summary of council and rates issues. The fix is not easy. Changing the Australian Constitution is not just allowing a referendum (voting by the people) to come first and then cascading top-down changes in legislation frameworks. There are associated operating consequences which may impact government’s power levels, efficacy and performance (The Australian, 2011). Whether the people will support the recognition of Local Government is another issue. Many ratepayers are getting increasingly dissatisfied with the performance of their local councils, especially growing concerns of ineffectiveness, inefficiencies, abuse of bureaucratic power and ‘corruption’ of local government. Problems with on-going annual rate rises above CPI ; no hedging of growing “defined benefits” superannuation liability payouts; varying rate valuations within and across cities; lack of transparency and early community engagement in budget decision making; inappropriate developments; lack of open community engagement in public meetings, etc, ratepayers want reforms for the better in municipal service management and new community centered and efficient operating models of service provisioning. It is not surprising that the growing legal court cases challenging the “government” powers and functions of councils is on the increase and the cause driver is growing community dissatisfaction. Reforms will not be easy – click here to read more. The opened can of worms challenges the existing relationship between ratepayers and municipal councils. The unconstitutional status of ‘local government’ also shifts the operating model of councils to respect that they are set up as a body corporate. It is fine that a council also acts as sub-agent for the State, but, overall, councils should be subject to various state and national corporation laws. Councils must be service providers to property owners as the consumers. They can do so through mutually agreed contracts with services for a fair price. In this contract based setting, councils become their State or Territory Governments’ outsourced entities to service local communities. Constitutionally, the full cost of delegated/outsourced work to councils should be funded by the respective State or Territory Governments. Practice is otherwise – the functions of Councils have evolved to a situation where they continue to receive (partial?) State funds and increase asserting their (invalid) government status to raise additional revenue by charging property owners (unlawful and unenforceable) local taxes (ie., rates). 1.Cannot lawfully charge rates. Fees and other charges as revenue sources are suitable to the function of a body corporate for each service provided. 2.Cannot assume they are an official tier of government. Councillors may represent their local communities and advocate to higher levels of government, and manage council operations in the interests of their communities. Operating as a Body Corporate, or Outsource Entity. For Victorian councils, property owners have perceived that many of their councils are operating inefficiently beyond their means and not in the real interests of property owners. In order to operate as a body corporate or outsource organisation, councils will have to reform to improve their current work culture and operations to become community centered and responsible, be transparent and accountable in their decision-making and address the performance reporting and fraud management deficiencies identified by the Victorian Auditor General. Changing each State government Act to recognise municipal councils as financial and active government agencies requires change to the Commonwealth Constitution Act, which requires Royal Assent from the constitutional Crown of the United Kingdom. It is not a simple matter to change either a State constitution, or the Commonwealth Constitution, as publicly communicated by some local government peak bodies such as the Municipal Association of Victoria (MAV) (Channel Seven, 12 Aug 2012). As more property owners (and the WA State government) go to court to challenge their councils’ constitutional authority in charging and/or increasing rates, imposing local law penalties, etc, the matter at hand can result in councils running out of revenue and put the municipal service delivery systems into chaos across States across cities. These potential consequences are not desired and hence there is an immediate need to bring together governments and property owner representatives to work out a careful and appropriate solution, choosing options most suited to each state’s environment. To help resolve the matter in a democratic and transparent manner Ratepayers Victoria calls for the formation of a national peak body of property owners to assist in the issues. This will be a priority task for Ratepayers Victoria into the immediate future. ■Advising their Councils that they are paying last year’s rate amount under duress and not paying any additional rate increase. If readers express interest in the class action, they will need to notify their council that they are aware of the current invalid “government” status of their council. Explain that there is no constitutional authority to impose or enforce property taxes (ie., rates) on ratepayers, in order to qualify for a class action claim. A template letter for notifying your Council is disclosed here – you need to complete your personal details and delete the 2 options not preferred. If you are interested in joining the class action and get email updates from Peter, please contact him via this email and he is also available to talk to interested readers – (03) 9874 0784. Monthly project updates will be disclosed as sub-pages under this page. 2.The Rule of Law means no one, even governments, can be above the Law of the Land. More legal technicalities about the Rule of Law, and about your sovereign right to act in relation to the invalid constitutional status of your council, and, to support the stand that they have no legal power to impose and enforce taxes on you … then contact RVI now. This entry was posted in News Archive and tagged Australia, Australian Constitution, Commonwealth, Constitution of Australia, corruption, criminal, deceit, fraud, Government of Australia, High Court, hypocrisy, New World Order, State Parliament, Victoria by renaissancelearningfoundation. Bookmark the permalink. Write on something you are passionate about, and about what you know. If you don’t know for certain give your opinion and tell people its only your opinion and ask for reader’s responses. Thanks for your comment. Address to the Court is utter nonsense – the Court would not accept this non-existent document. This is a made up document. Olney shows he has no understanding of the legal process – beware. The legal process is similar to but not the same as lawful process. That in itself is the problem (no juries equals no justice) and is really outside the single judge’s jurisdiction to rule against their employer. The only peaceful way for the people to repudiate the unlawful fees and charges is to understand what democracy is, which is trial by jury, the magna carta, and restore this to every court and every case, civil and criminal. Single judges are an abomination. That is why we have a legal system, not a justice system. Just another correction – it wasn’t Touvanna v Melton City Council. It was Melton City Council v Touvanna. The Council issued the proceedings against Touvanna and although I feel for them. I believe the Defence prepared – and I assume the Address to the Court was that – was thrown out by the Magistrate. Could you please outline the results of the court action. Has anyone been successful? This blog was posted back in 2012, Is there any chance we can receive an update to the class action? Any relation to the Local Govenrment class action at the site below? If not, maybe its worth joining forces. Beyond all the legal jargon, constitutional questions etc. The big question is can we as a nation of over governed and increasingly taxed natural beings of some 24 million inhabitants really afford 3 costly levels of government. Something has got to give. Upon all of this with no qualms at all the local Ballarat Councillors have just unashamedly voted themselves a pay rise while the rest of us battle on with extremely low increases in real wage growth for over a decade now while paying ever increasing taxes, government charges and utility bills…Nice to be able to just vote yourself a wage rise.